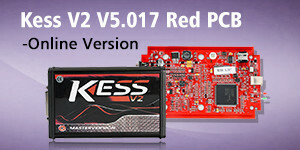 Note: Now KESS V2 Firmware 5.017 with token reset button is only €179! How to write Toyota Yaris 2NZ-FE ECU data OBD by KESS V2 FW 5.017? 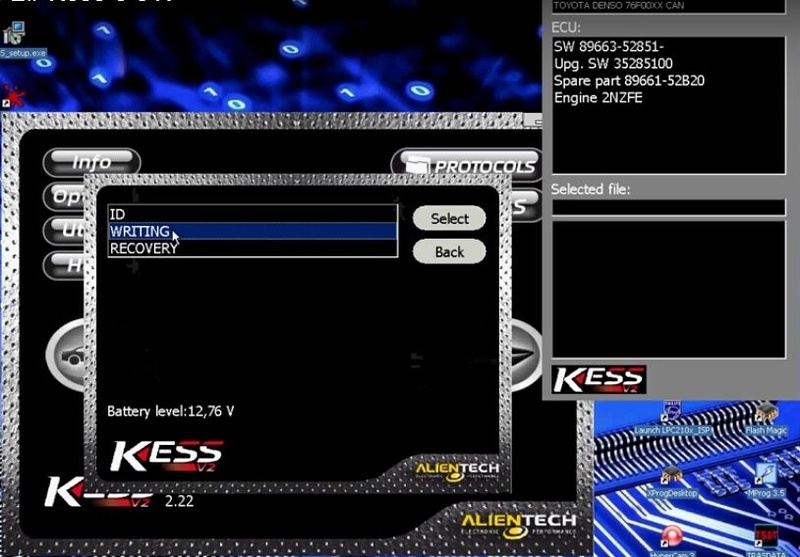 Connect KESS V2 FW 5.017 directly with Toyota Yaris via OBD port. 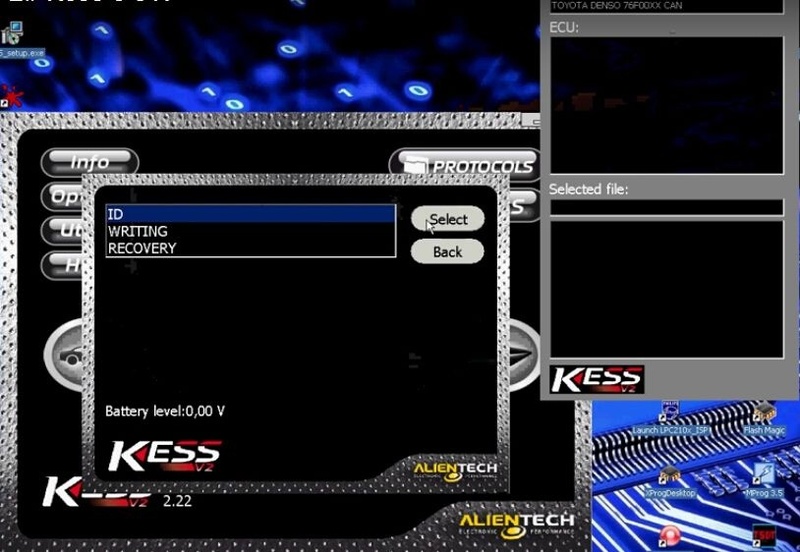 Open KESS V2 5.017 Ksuite 2.22 software. It show 2NZ-FE engine ECU information. Now choose the right ECU file for Toyota Yaris 2NZ-FE to write. When it ask “Proceed to write?” click “OK” to continue. And warning message will show if not select the right file, ECU will be damaged. Now just wait ECU writing process complete 100%. 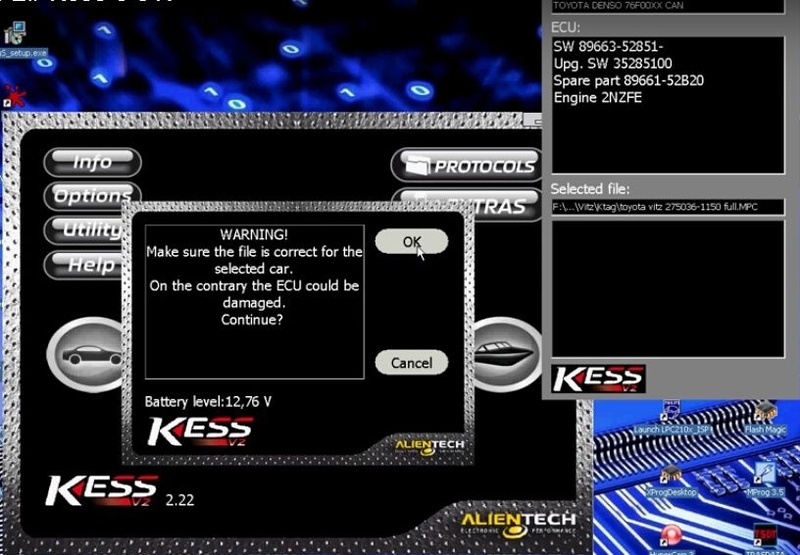 Tips: Check KESS V2 FW 5.017 new ECU list and protocol screenshots one by one?